Julia A. Burgess holds the position of Senior Director of Corporate and Strategic Communications at May Institute, where she also holds a joint appointment at the National Autism Center, a program of May Institute. Julia serves as Co-chair of the organization’s Diversity and Inclusion Council. Julia works to advance the mission of May Institute, enhance its international reputation, increase visibility and awareness of its services and resources, and position the organization to meet business objectives. Previously, Julia held public relations positions at Schwartz Communications, now MSLGROUP, and The American Red Cross of Massachusetts Bay. Over the past 10 years, she has been a key member of teams that have received nearly 50 prestigious industry awards in healthcare and marketing communications. She holds a B.S. in Mass Communications from Emerson College, and Masters degrees in Business Administration and in International Management from the University of Massachusetts, Boston. aspects of employee and management development, change management, team development, and strategic planning sessions. His D&I work at May includes developing and implementing D&I training for supervisors and new hires, architecting the Mentoring Program, and leading the design and analysis of an organization-wide D&I survey intended to support action planning throughout the organization. Pamela Kenn was named Vice President of Community, Alumni and Player Relations for the Boston Red Sox in November of 2015. In that role, she oversees community outreach for the organization as well as serving as the liaison between the ball club and its former players and coaches. Before her promotion, Pam served as Senior Director of Public Affairs, with oversight of community, player and alumni relations, as well as the areas of publications, photography, and archives. From November 2008 until January 2013, Pam was the club’s Director of Media Relations. During that time, she was the day-to-day baseball public relations contact and traveled with the team throughout the season. Pam joined the Red Sox as an intern in June 2000 and graduated from UMass-Amherst in 2001. In 2012, she was presented with an inaugural Alumni-on-the-Rise Award by the Mark H. McCormack Department of Sports Management for exceptional achievement in the sports industry while also giving back to program with her time and resources. Marie Doubleday is a Regional Commissioner For The Massachusetts Commission On The Status Of Women. As a small business owner and licensed mental health counselor, Marie offers therapy services on Martha’s Vineyard and Falmouth Massachusetts through her private practice, Doubleday Counseling, which she founded in 2007. 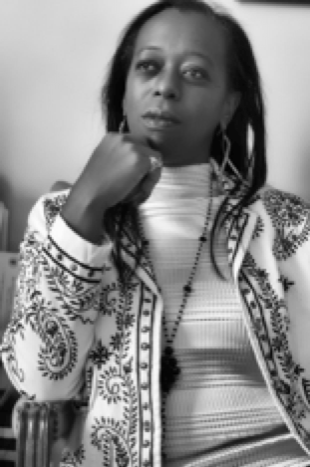 In her practice, she uses a blend of psychotherapy and counseling methods allowing her clients to discover inner strength to overcome some of life’s most difficult challenges that stem from depression, anxiety or addictions.Her practice includes individuals both seasonal and year-round residents, of various incomes and ethnic backgrounds. Marie earned a B.A. from the University of Massachusetts/Boston, an M.Ed. from Cambridge College. Marie grew up in Malden, as an adult has resided in Boston, Cambridge and has lived primarily in Oak Bluffs since 1986. She is the proud mother of one son, Arthur Hardy- Doubleday, an attorney practicing in Massachusetts, with a focus on housing. Mary-dith E. Tuitt, “Ms. Mary” graduated from Boston Technical High School in 1985 and entered the United States Navy. Mary served fourteen (14) years as a Navy Aviation Machinists Mate, first on active duty and then in the active & inactive Reserves. Mary did some military archive research on women of color in the USN, and in 2010 she received information that as far as the archival research shows she was the first African American Aviation Machinist Mate (jet mechanic) in the Navy. Mary has always been involved and vested in her community. She has been active with organizations and groups that focus on Veteran and Women Issues. She currently serves as Vice Chair, Commissioner of the Massachusetts Commission on the Status of Women. Mary-dith formerly served on The Boston Veterans Advisory Council and presently serves as Senior Vice Commander at Wm. E. Carter American Legion Post 16, the Organization of African American Veterans, and is the former Associate member of the Veterans of Foreign Wars Post 1018. Linette Sanders is a vice president who works in IT/Corporate Information Security Services. She is an Information Security Administration Manager responsible for overseeing the Online Recertification for approximately 300 applications utilized at State Street and has project management duties to assure that the associated corporate, industry and external audit standards are met. Her career in financial services spans over 30 years and she has been with State Street since 2000. Linette has a BS in Management Information Systems from Northeastern University and is a member of the Sigma Rho Epsilon and Golden Key Honor Societies. Alicine Francois has worked at Eversource Energy Corporation for thirty years in a variety of positions with increasing responsibilities within the Human Resources organization. Currently reporting to the Vice President of Talent, Culture, and Diversity, Alicine primarily focuses on designing, planning and implementing corporate programs and initiatives that promote employee engagement and development, change management, diversity & inclusion and premier customer service. She also manages a team of organizational change management consultants. Her background includes managing and consulting in the areas of talent acquisition, employee and labor relations, training, diversity & inclusion and EEO/compliance. Alicine immigrated to the States in 1979 from London, England. She has traveled throughout Europe, the Americas and the Caribbean. She holds a Master’s Degree from Emanuel College, A Bachelor’s Degree from Northeastern University is a certified Senior Professional in Human Resources (SPHR) and is a fellow of the UMass Boston’s Emerging Leaders’ Program. Alicine is a Board member of the Dorchester YMCA and serves as chair of the nominating committee. She is also a Board member of the UMass Boston’s Center for Collaborative Leadership’s Emerging Leaders program. Having a strong passion for the ministry, she is also actively pursuing studies in theology. She is the mother of two daughters and resides in Randolph, MA, with her husband, Caleb. Vera Admore-Sakyi is the Director of Vegetation Management for at Eversource. She reports directly to the Vice President of Operations Services. Her annual budget is approximately 10% of the Operations organization and oversees an organization with 60 plus employees and vendor arborists that deploy an average of 400 tree trimming crews on a daily basis. She joined, what was then NSTAR Electric in 2005 as the Director of Project Management. After two years, she served as an Operations Director of Field Operations for the Western Region of NSTAR. She assumed her current responsibilities in 2013. Before joining Eversource, Vera worked at FirstEnergy Corporation in Morristown, New Jersey in several positions spanning nearly fourteen years. Vera held various roles in Engineering and Operations, beginning as Plant Engineer at GPU Nuclear Corporation and transitioning to a Planning Engineer and Major Account Consultant at Jersey Central Power & Light (JCP&L). Vera subsequently had roles as a Service Delivery Leader in Northern NJ, Manager of Information Support Services at GPU Service HQ in Reading, Pennsylvania, to Director of Engineering and Reliability in Northern NJ. Vera served on two merger integration teams and assumed the role of Regional Engineering Manager for Northern NJ at the close of the merger between GPU Energy and FirstEnergy. Vera graduated from the City College of New York with a Bachelor of Engineering in Electrical Engineering. She earned a Professional Certificate in the General Electric Power Systems Engineering Program and a Graduate Certificate in Operations Leadership from Worcester Polytechnic University. Vera was 2006 Boston Fellow in The Partnership. Vera has previously served as a trustee for the Morris County Urban League and the Diamonds mentoring program in New Jersey. She has also served on Selection Committees for the United Way in Greater Boston. Vera resides in Ashland, Massachusetts with her husband Kwabena and son. She enjoys live music, theatre, sports and traveling. Janine Taylor is the Associate Vice President of Human Resources at Jobs For The Future, a mission-driven non-profit organization based in Boston, MA. She received her B.S. in Business Administration from Boston University in 1999 before joining Andersen Consulting (now Accenture) as a Business Analyst. She joined May Institute in 2002, earned a Master’s in Management from Emmanuel College and over the next ten years, held progressive roles of responsibility within the agency’s HR department before joining Vinfen as their Director of Human Resources in 2012. After one-year managing Field HR at Vinfen, Mrs. Taylor returned to May Institute in 2013, where she accepted a position as the Sr. Director of Employee Outreach and Engagement. Her role was subsequently expanded to include Chairing May Institute’s Diversity and Inclusion Council and oversight of Field HR. 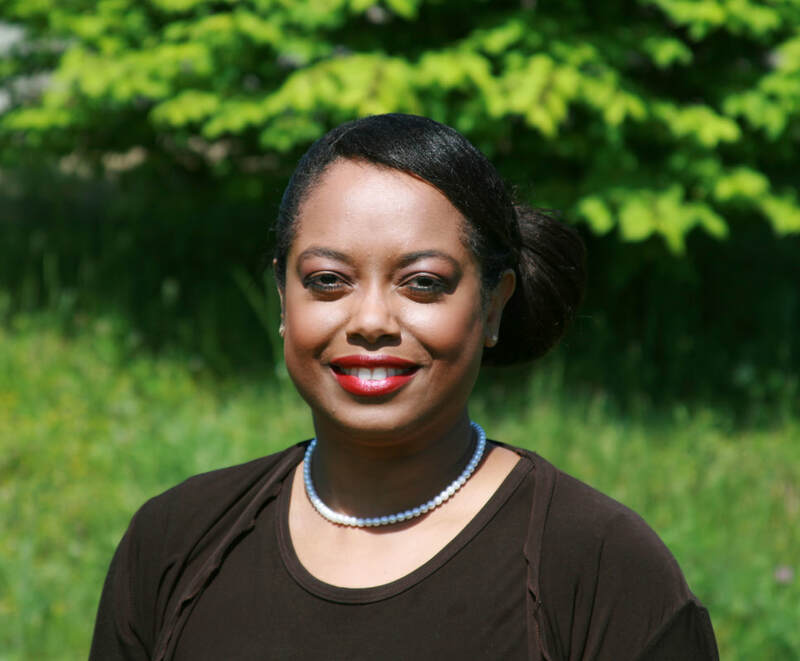 Additionally, Mrs. Taylor is a certified Senior Professional in Human Resources (SPHR®), a SHRM Senior Certified Professional (SHRM-SCP) and a certified Employee Engagement Specialist. Mrs. Taylor regularly teaches workshops on Interviewing for Success and Resume Preparation at CareerWorks in Brockton, MA. She is an active member of her community—serving on the Board of Girls Incorporated, Taunton and volunteering at her children’s schools. She currently resides in Sudbury, MA with her husband Kemo and their three children. Jodi-Tatiana Charles wears two hats, as "Brandographer T" and Founder of La Capoise Galerie, a branding and marketing firm dedicated to educating entrepreneurs, nonprofits and small-business professionals on the importance of growing their personal brands. And in her role, as the Director of Small and Diverse Business Engagement, she serves as the Greater Boston Chamber of Commerce's primary point of contact for small and diverse businesses looking to grow their presence in the Greater Boston region. Jodi marks nearly three decades of strategic marketing, branding and communication successes with high profile organizations including MassChallenge, Massachusetts Governor's Office, and Clear Channel Communications/iHeart Radio. over 150 ethnic communities by introducing roundtables and events with constituents. * Designed forum and increased attendees from 1500 to over 7500 for Massachusetts Conference for Women. * Increased web and traditional media engagement by 96% for MassChallenge. within a year researching business trends. Jodi's favorite quote: "To build your brand, you need to BE your brand." Jessica Ortega Weber is a student from Santo Domingo, Dominican Republic. She completed her high school degree at the Americas Bicultural Academy, through which she became an active participant in Model United Nations both nationally and internationally. This fueled her passion for learning about cultures, and her goal to speak four languages before graduation—which she accomplished. At the age of 17, she moved to the United States to pursue an undergraduate degree at Brandeis University, where she double-majored in business and psychology. She is passionate about education, equality, animal rights, promulgating the power of open conversation, and the arts. At present, she is pursuing an MBA and an MS in Quantitative Finance from Bentley University McCallum Graduate School of Business. She is a member of Doggie House (a pro-animal-rights network in the Dominican Republic), and Boston Touch (a Boston-based branch of Island Touch Dance Academy’s international network).